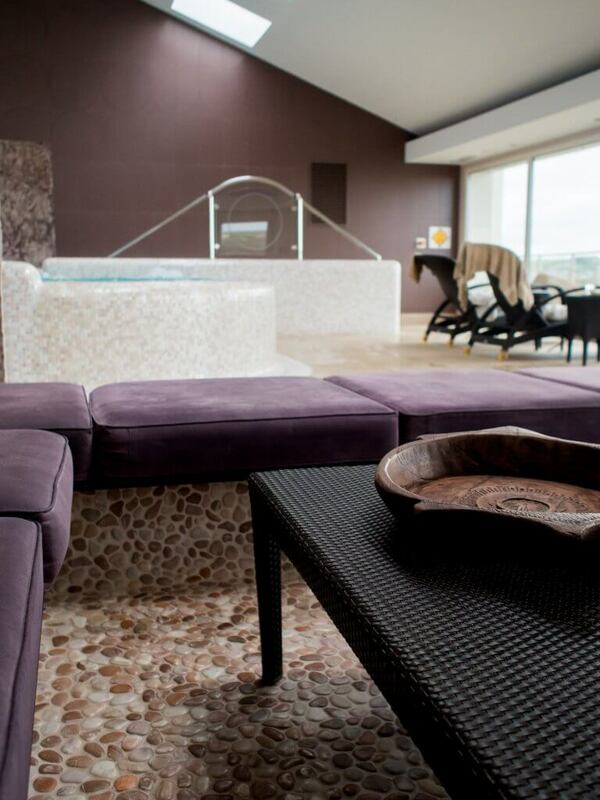 There’s not much better than spending the day in the spa and the evening with great food! 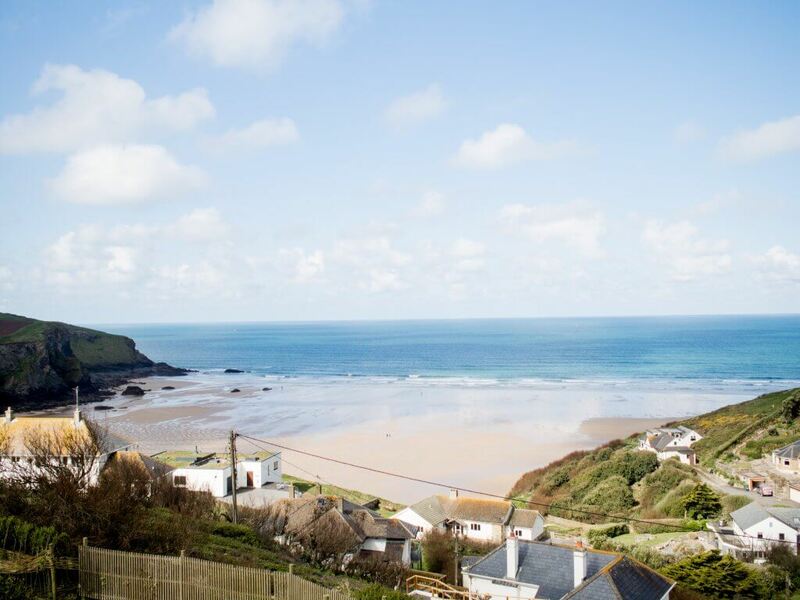 The Bedruthan Hotel & Spa overlooks the beautiful Mawgan Porth beach near Newquay, and is just a stone’s throw away from the iconic Cornish landmark of – you guessed it – Bedruthan Steps! I’ve never been before, but have had the fortune of experiencing a spa day at their adults-only sister hotel, The Scarlet, which is just down the road. 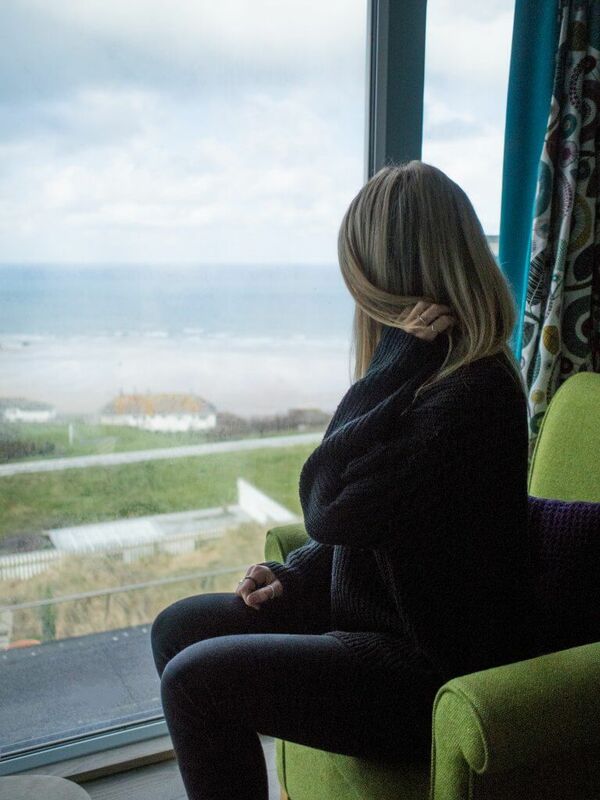 The Bedruthan Hotel is the larger, family-friendly sibling, with the same stunning views and great service, but a longer list of facilities for guests to entertain themselves with! 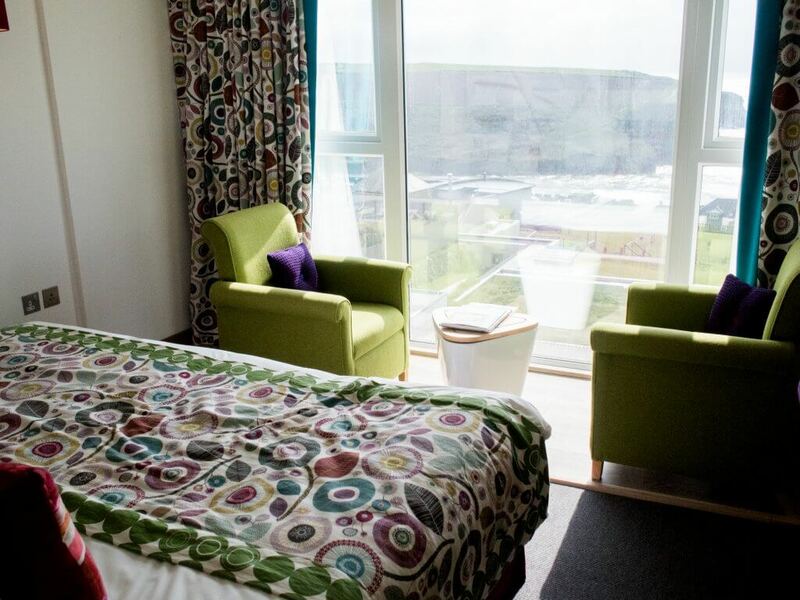 With two restaurants, three outdoor pools, an indoor pool, hydro-spa, outdoor spa garden, gym, relaxation rooms, lounges, event spaces, art gallery and even a pottery studio – there’s so much to do here, which makes it a great choice for longer stays. 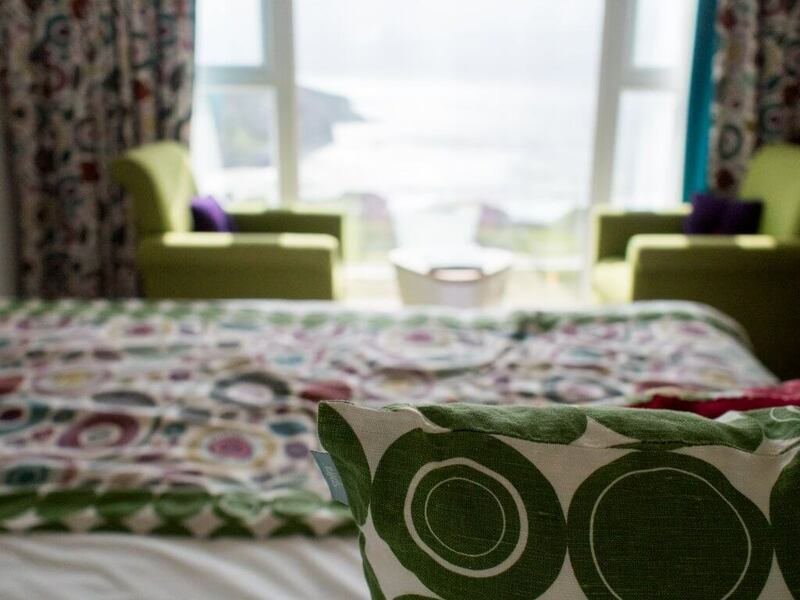 We were staying in one of their sea-view family rooms, with a huge bed facing directly onto the floor-to-ceiling windows, looking out onto the fantastic view of the beach below. It was a great layout, with a divided space for a sofa and TV (presumably doubles as a bed for when families stay! ), and a luxurious bathroom with rainfall shower wetroom. 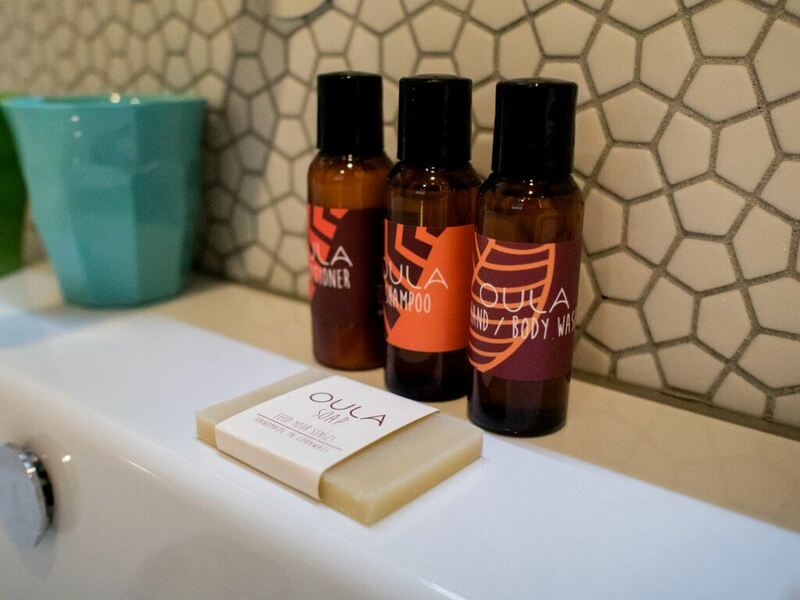 The Bedruthan Hotel use all the same ‘Oula’ products as The Scarlett, which (I didn’t realise before!) are in fact their own brand that they created! I absolutely love the smell of these – plenty of ginger and geranium. 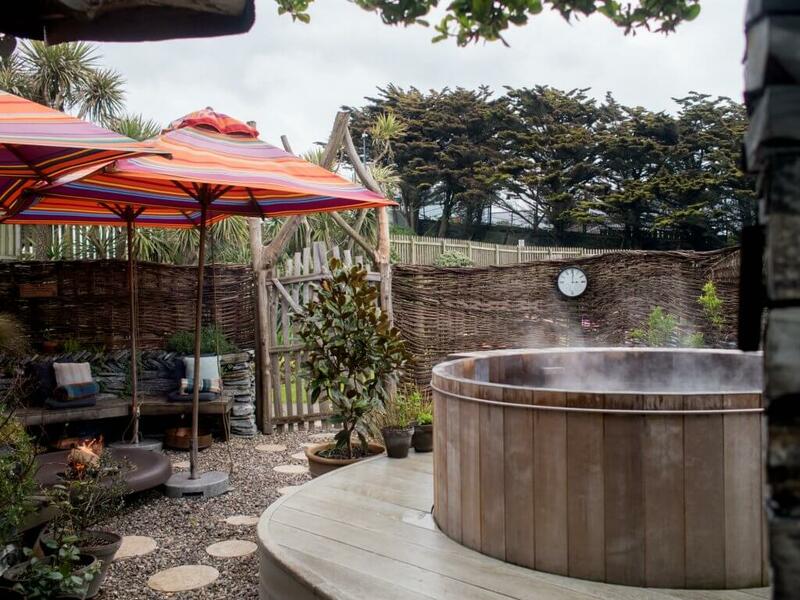 Once we got settled in, we headed down to the spa area, where we were to experience the hotel’s famous ‘Sensory Spa Garden’; a one-hour experience in a dedicated outdoor garden area. 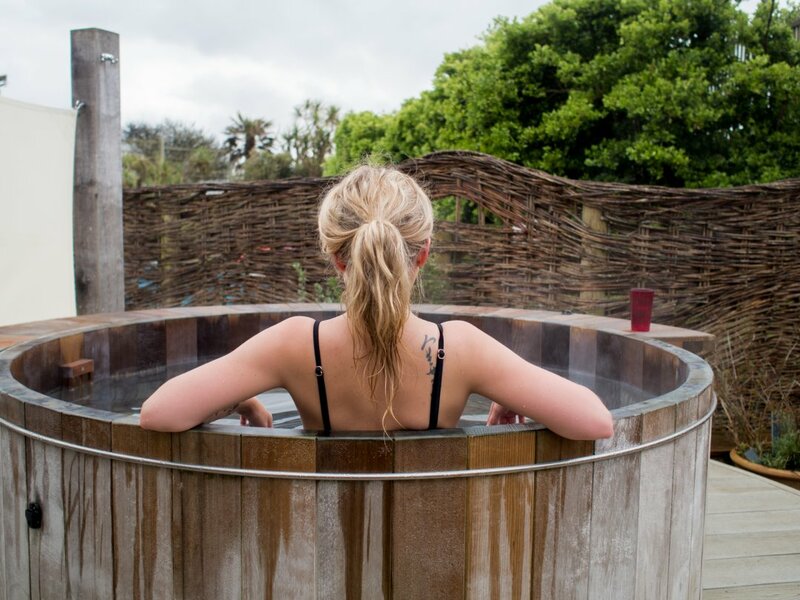 Our host showed us around and explained all the different stages of our journey to us, starting with a dry oatmeal body scrub in a beautiful heated stone room, followed by a rinse off in the outdoor rainfall shower. 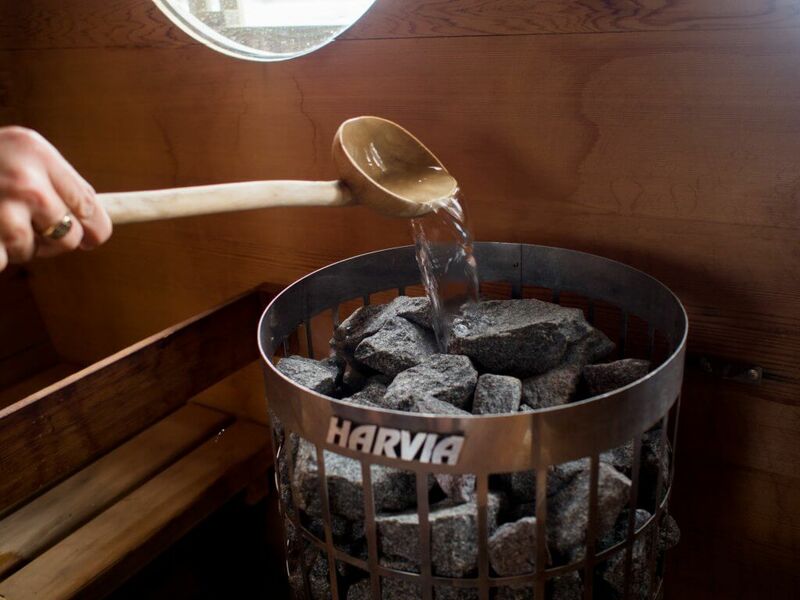 The next step was to head over to the barrel sauna to warm up and sweat out all the toxins and stresses from our busy week! … Then time for the scariest step! 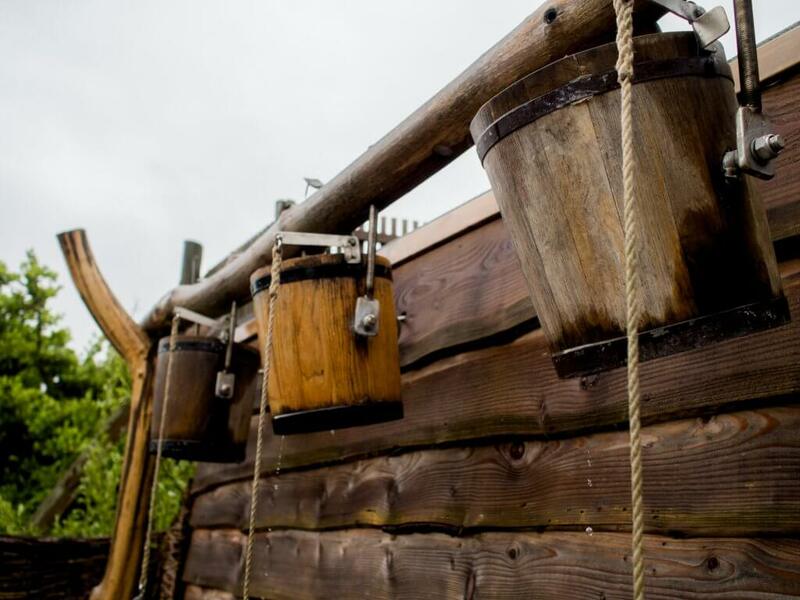 A cold water ‘plunge’ bucket shower – simply stand underneath and pull the rope to really stimulate the senses. Alex was braver than I was! 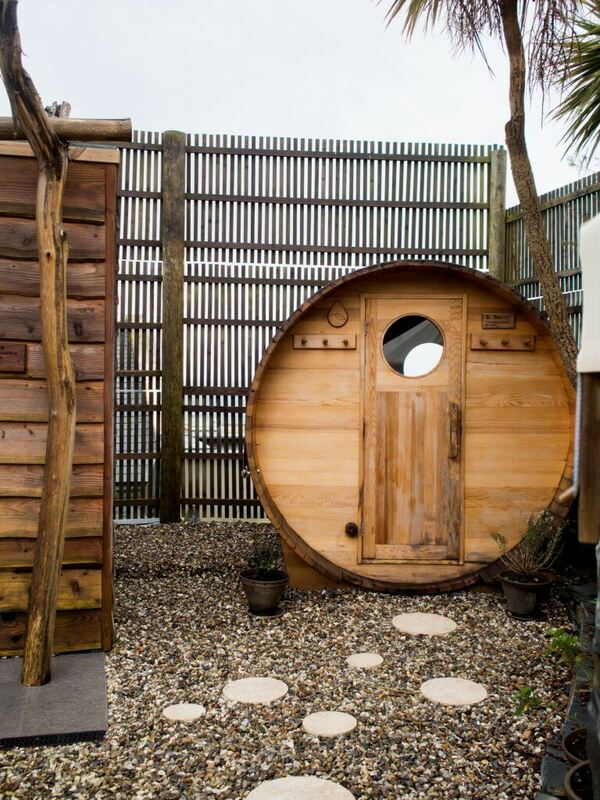 And of course we then both ran straight into the next area – the outdoor wooden barrel hot tub. 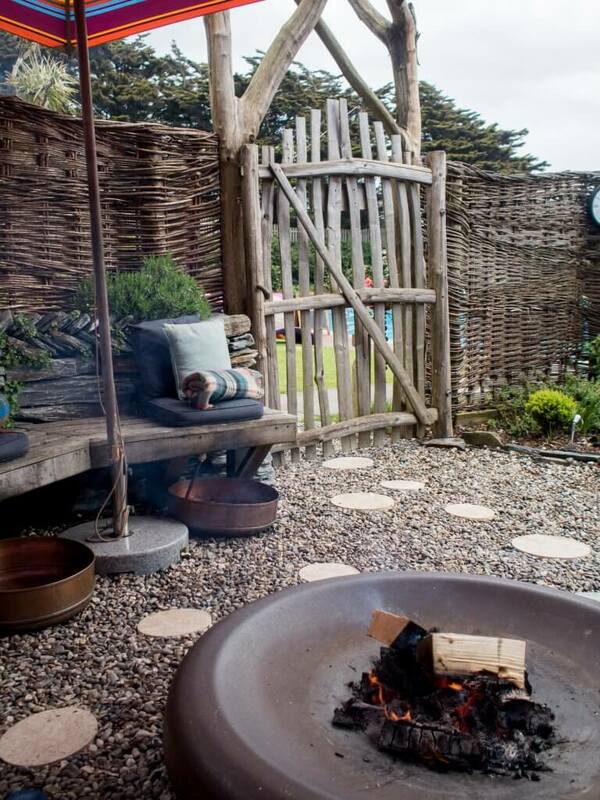 We spent quite a bit of time in here, soaking up the outdoor air while staying suitably snug. 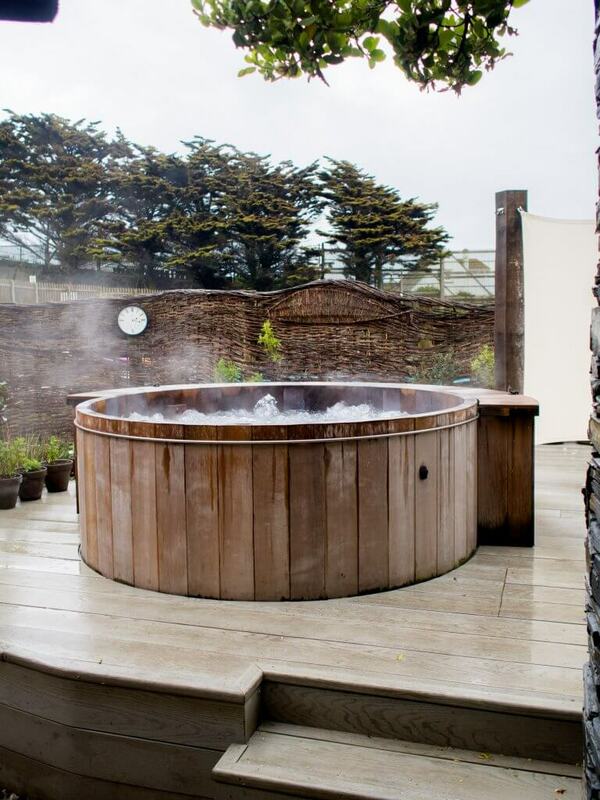 There’s something about open air hot tubs that you just can’t beat! 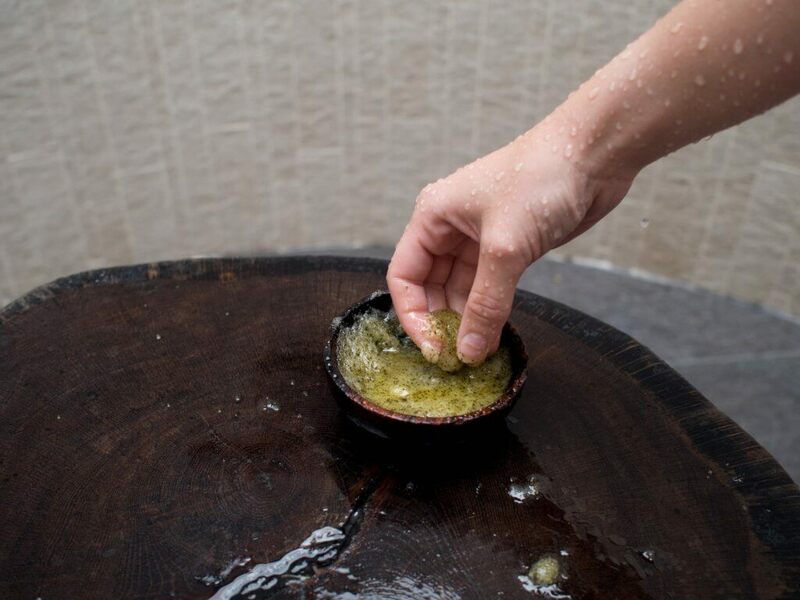 Next up, we hopped out of the hot tubs and were treated to a wet seaweed and salt scrub, which smelled of lime and ginger – delicious! To give our skin one last cleanse before rinsing off under the rainfall shower once again. 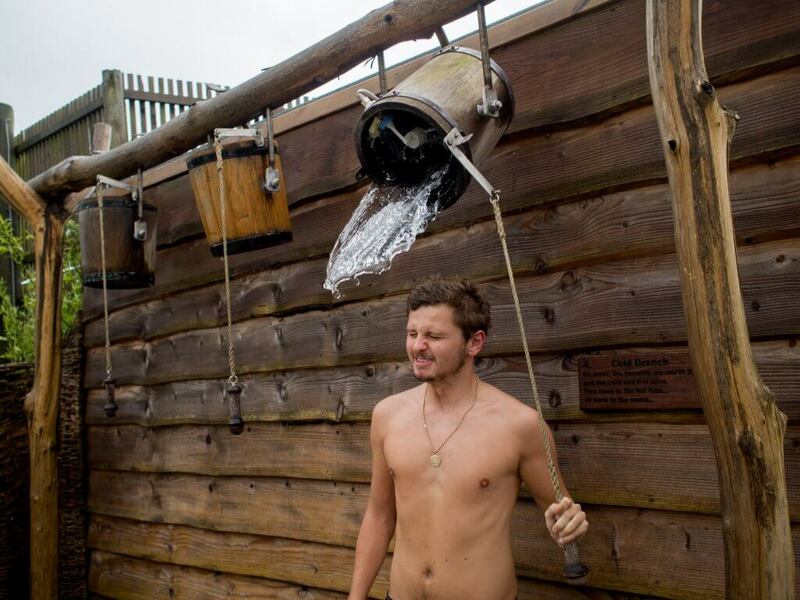 I could get quite used to showering outside! 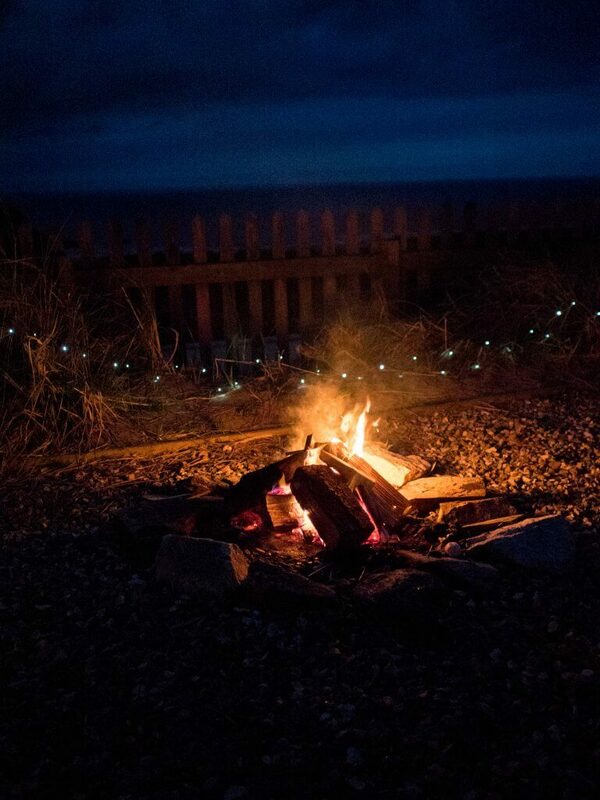 We then wrapped up warm in our robes and headed to our final stop, the campfire. 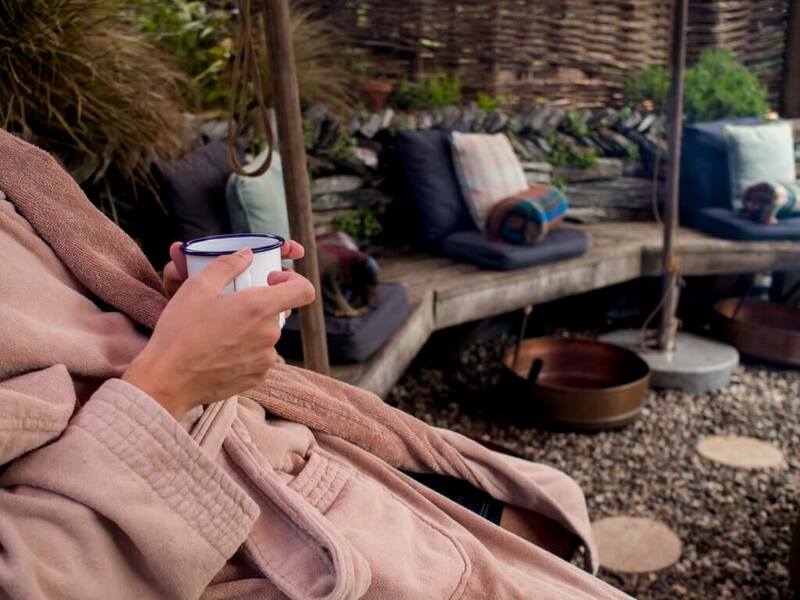 Sipping hot tea and dipping our toes into copper bowls or warm water to soak up. It was a really fun experience and I’d definitely recommend it as something a little bit different and quirky for a gift or special treat! 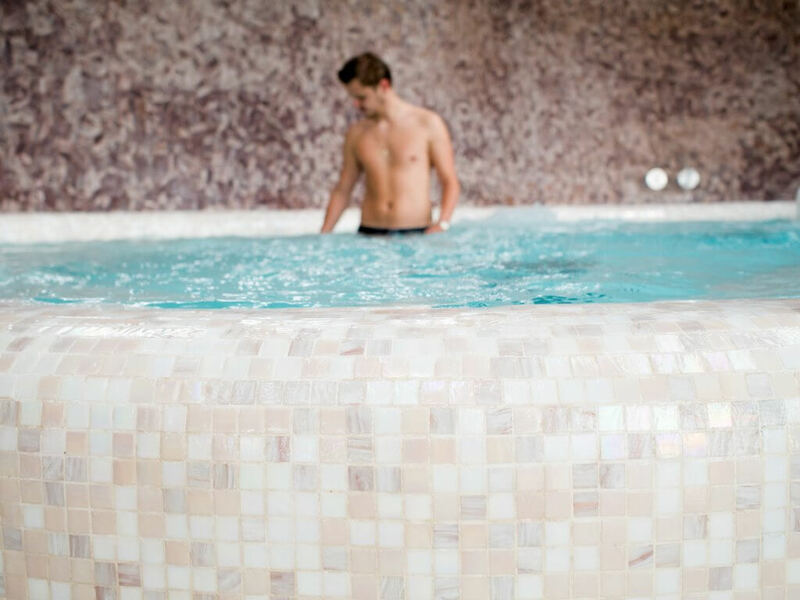 Returning to the main spa area, we headed to the adults-only relaxation area with the huge hydro-spa-pool for a quick dip before getting ready for dinner. 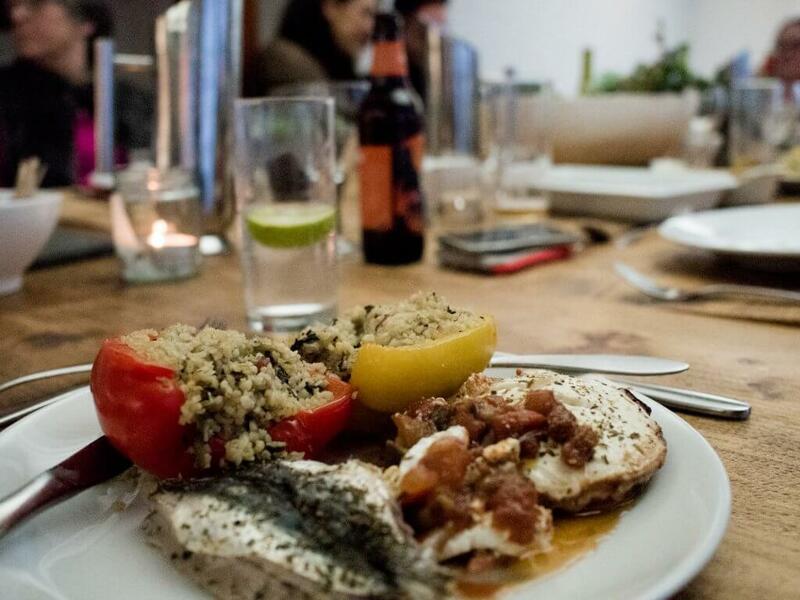 Each month, Bedruthan host a ‘Fire and Feast Night’, and this particular evening was the Greek night! We gathered downstairs in the Garden Room (one of their event spaces, where I attended the Ignite Life workshop last month!) and sat around a long table as food and drink were served to us. 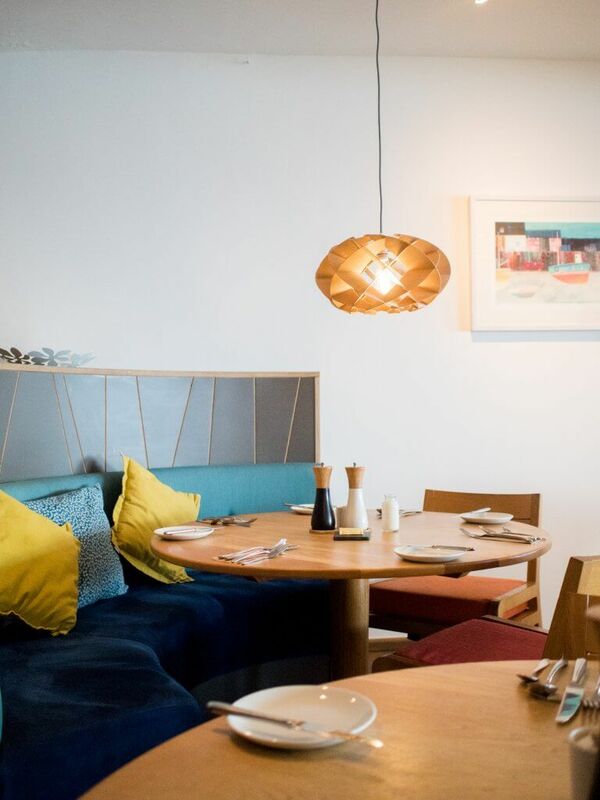 It was nice to get chatting to some other people around the table – typically something like this often sparks conversation topics around travel, which is always super interesting! After our meal, we all headed outside to the campfire area for the ‘fire’ element of our evening! 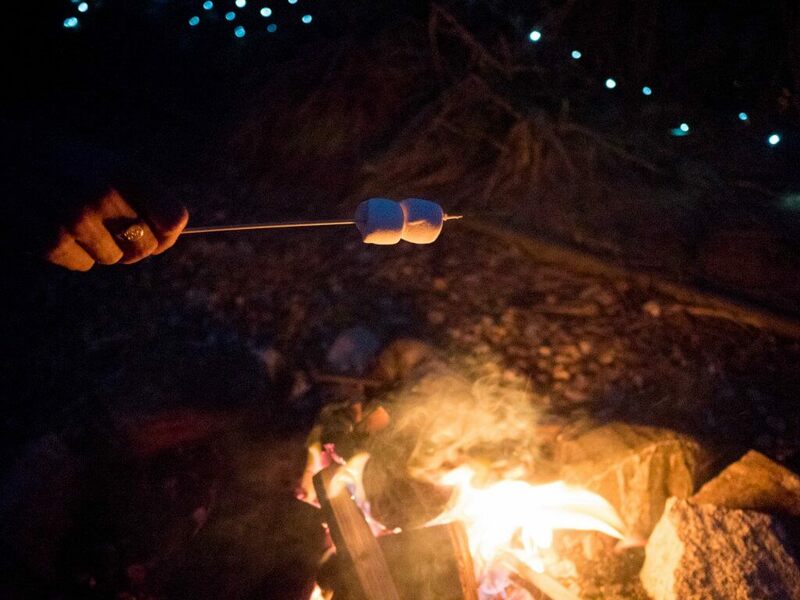 With hot chocolates and toasted marshmallows in hand, we ended our day with full bellies. While I really liked the concept of the night, I felt they could have done so much more with the theming of the evening and ambience around the table. Perhaps some more mood lighting and Greek music playing. That being said, Alex really enjoyed his food and we met some interesting people too! 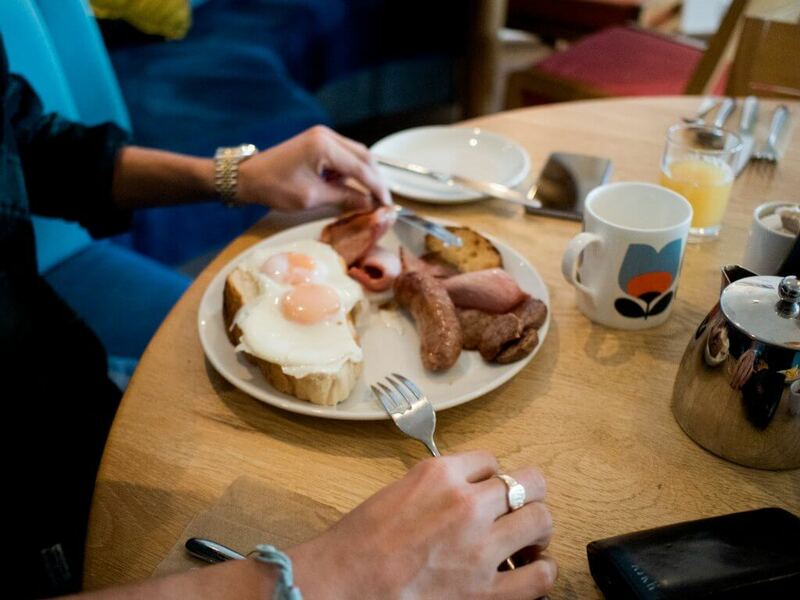 The next morning we enjoyed a delicious breakfast, with a serve-yourself buffet and options off the specials menu too. 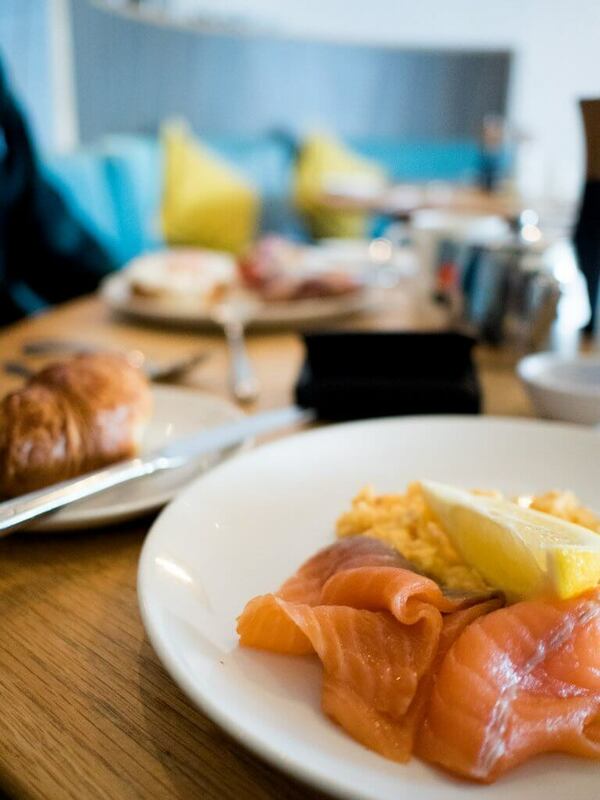 I went with salmon and scrambled eggs of course! With one last look at the view, we waved goodbye to the hotel and headed straight to the beach while the weather was on our side! Thanks to Bedruthan for inviting us – we had a lovely time!